Home→Heartworm Preventative Treatments→Is Using A Natural Heartworm Preventative Worth the Risk? Is Using A Natural Heartworm Preventative Worth the Risk? Pet owners struggle with the decision to treat their dogs with a heartworm preventative medicine. People object to exposing their dogs to a poison that kills the worm larvae. This view that veterinarian prescribed treatments to protect dogs contain poison, puts millions of dogs at risk for a heartworm infection. However, many people believe in natural preventatives to prevent heartworm infections. Natural preventative treatments use herbs believed to create an inhospitable environment for parasites such as heart worms. While millions of pet owners use these treatments, the current research indicates these remedies are not effective. Many pet owners stand by their decision to use these treatments and claim their pets are free of these parasitic worms. 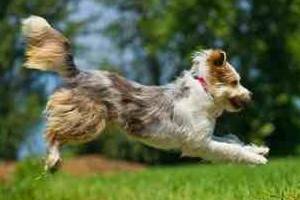 How Does A Natural Heartworm Preventative Work? Pet owners will find several herbal supplements that claim to prevent heartworms. Most of the treatments claim the herbs work with the dog’s immune system to create an environment in which parasites cannot survive. Some natural treatments such as Chinese herbs claim to kill adult heart worms. If you visit websites selling these treatments, most of them indicate they would not be in business if the treatments did not work. However, none of these sites provide scientific research to back up their claims. Most notably these sites sell hundreds of products. Staying in business is not evidence that a natural heartworm preventative product works. One of the most common treatments requires pet owners to provide their dogs with a daily herbal supplement. In addition, it is recommended that owners put their dogs on a raw diet. This diet includes fruits and vegetables instead of feeding your pet dog food. The claim is that the combination of raw diet and herbal supplement will prevent parasites from surviving in the dog due to a strengthened immune system. The claim is that pet food is unhealthy and creates an environment in which parasites such as heartworms can flourish. Over 70 percent of pet owners who use natural preventatives do not share this information with their veterinarian. Many people believe the treatments work, but are embarrassed to let their veterinarian know they are using these treatments. 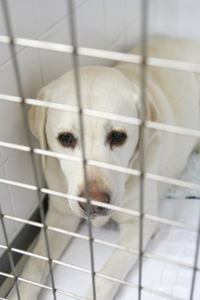 In addition, pet owners that use natural treatments will take their dog to a holistic healer instead of a veterinarian. Sadly, many of the statistics are not available regarding these natural treatments because the pet may be treated by a holistic healer instead of a veterinarian. The number of pets that die is not tracked unless the dog is treated by a veterinarian. Currently, the FDA has approved the following preventative medicines for heartworms (these are the active ingredients found in Veterinarian-prescribed treatments which will have brand names or generic brand names). The FDA has not approved any natural preventative treatment for heart worms. In addition, a recent consumer update issued by the FDA advises pet owners to use the above mentioned approved preventative treatments – as per the quote below taken from the page last updated 09/09/11 (at the time of writing). Until scientific research is done on herbal treatments, there is no conclusive evidence these natural treatments will prevent a heart worm infection. In addition, there is no evidence these natural treatments will kill and expel the adult worms. The only preventative that has a proven track record is the FDA approved treatments. Whether you choose to use FDA approved preventative heartworm medicine or a natural preventative is a personal choice. However, you may want to consider if it is worth the risk to use a natural treatment. A dog may not exhibit signs of a heart worm infection until three or five years after becoming infected. By the time the infection is discovered, your dog may not be able to withstand the immiticide treatment necessary to eliminate the adult worms. Many dogs that are too sick or to old may die if treated. In addition, the treatment is expensive and can cause joint pain, nausea and general discomfort for the dog. Before you make a decision to use natural heartworm preventative treatments, discuss your decision with your dog’s veterinarian. Your veterinarian can explain the risks of both natural and approved preventatives. In addition, your veterinarian more than likely has treated several dogs that were on natural preventatives. Your veterinarian will share his or her experience with these treatments. Pet owners want to make the best decisions to keep their pets healthy. Unfortunately, many of the claims made by manufacturers of natural preventative treatments are appealing to pet owners. Only you can decide if it is worth taking a chance with your pet’s health. Current approved heartworm preventative medicines are safe and effective when used properly. Make sure you discuss your choice with your dog’s veterinarian.